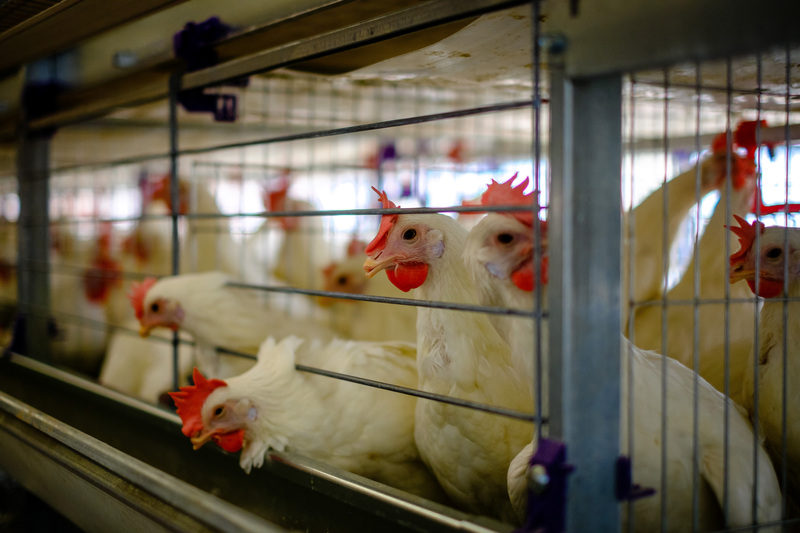 A major US-based poultry plant processing approximately 175,000 birds per day was struggling with catastrophic bearing failures on both their poultry cage washing machinery and cage unloading systems. The repetitive failures on these two critical applications were causing very costly downtime at a rate of $231 per minute. NTN’s engineering and sales support team ran a comprehensive diagnosis of the plant’s cage washdown and unloading machinery. They discovered that the competitor’s bearing units were only lasting an average of two weeks due to both water contamination and improper lubrication. NTN’s team recommended that the plant switch to Sentinel Series bearing units. Our Sentinel Series bearing units are a premium corrosion-resistant bearing with NSF H1 registered solid lubricant and caps as the standard offering, built to withstand these severe environments. The solid lubrication provides up to 21 times better washout resistance than standard grease and the caps improve the protection even further, which was critical to extending the life of these applications. The NTN solution lasted more than 12 times longer! Sentinel Series successfully ran for over 24 weeks compared to the competitor’s bearing that was failing every 2 weeks. The increased uptime and reduced maintenance have resulted in over $60,000 in savings in the first six months. The customer was so impressed by the improved performance that they installed additional NTN Sentinel Series bearings across their plant to further increase their productivity. Here for you when things run afoul.